Is the “empathy revolution” just a passing fad or the key to peace and social justice? This is the first in a week-long series of articles on empathy and transformation. More than twenty years ago, scientists made a breakthrough that altered our understanding of human behavior in fundamental ways: they discovered empathy. While observing a group of monkeys, they noticed that certain brain cells were activated both when one member of the group grabbed a peanut and when other monkeys did the same. Today, empathy seems to be everywhere. There’s an entire field dedicated to empathic design and a growing movement in the medical field to teach empathy, based on studies that link it among doctors to improved health outcomes. 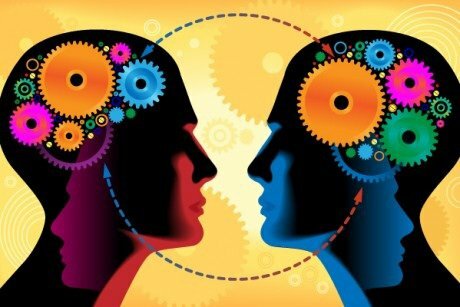 Empathy has been touted as a solution by everyone from Twitter founder Biz Stone to Arianna Huffington, and it played a pivotal role in the outcome of the most recent U.S. presidential election, which Barack Obama won in part because he was seen to understand and connect with other people more easily and effectively. What should we make of all this? Is empathy just the latest passing fad, or are we right to pay it more attention? Even if empathy is a prerequisite for good design and a healthy bedside manner, does that mean it is also essential for social transformation? In simple terms, empathy is the ability to understand the feelings and perspectives of others, and to use that understanding to guide one’s actions. We’re probably most familiar with it in our relationships with family, friends and colleagues. Empathy encourages us to look beyond ourselves and to consider those around us, and to take on new perspectives – to understand not just what someone is doing but why they are doing it. “Empathy conjures up active engagement – the willingness of an observer to become part of another’s experience and to share the feeling," says author Jeremy Rifkin. In this way it can help us to see problems with greater clarity, and to design solutions with more humility and inclusiveness. It’s the key ingredient that helps us move from working for people to working with them. Of course, empathy has its critics. In May 2013, Paul Bloom made his case against empathy in the New Yorker magazine, arguing that this concept is too soft, too emotional, and ultimately too unreliable to make tough choices or solve complex problems. Others like Stephen Asma contend that we’re naive to think that we can extend empathy beyond our immediate circles: there’s only so much of your pain I can feel before my brain is overwhelmed. Across much of rural Africa, for example, access to water is a well-documented problem. Girls and women bear the responsibility for fetching it, traveling long and occasionally dangerous paths to do so. The fix? Build wells closer to villages and cut down on the time that girls and women take walking to the nearest water source, enabling them to spend more hours in school, work, play and income-generation. It's a strategy that countless aid organizations have employed. But for many girls and women, these treks are also important bonding opportunities – among the few hours they can be outside the spheres of men. The erection of nearby wells may disrupt this possibility, and in at least one documented instance, the women involved deliberately damaged the new pipes. Even the most obvious ideas may fail when they ignore the voices and perspectives of those who are most affected by the problems they seek to solve. Contrary to the critics, what plagues today’s culture of mainstream do-gooding is not an excess of empathy but a deficit. Instead of seeking to understand what we are doing in social change we rush to judgment. We pity and we patronize. And we end up by wasting billions of Dollars in international aid and philanthropy that are poured into efforts in which communities have no voice. Empathy is part of what separates effective problem-solvers from their well-intentioned peers. Without it, even the best laid plans fall victim to misguided motivations and overconfidence, to simplistic thinking and mere sympathy. It’s a lesson that today's class of MBA-carrying self-defined world-changers would do well to remember, especially those who go from conference to conference proclaiming the merits of for-profit social enterprise, or who seek out the latest technological advances and tout the forecasts of their social business models without understanding the cultural contexts in which they work. Over the coming week, we'll be interrogating these ideas through a series of articles on Transformation that explore the role of empathy in schools, community organizations, politics and the economy. We’ll hear from Mary Gordon, a pioneer in making empathy as much of a priority in education as mathematics or reading. We'll look at the implications for political systems and meet a group of Congressional leaders who refuse to play the game of "he said, she said," committing themselves instead to work together to solve contentious issues. We'll examine what an alternative economic system might look like if it were built around compassion, and hear from others who are more skeptical, arguing that “radical connection” is much more important than empathy to the achievement of social justice. We’ll explore the relationship between empathy and action, and what it takes to cultivate not just the capacity to understand others, but also the moral identity and backbone required to act on that understanding, especially among young people. As Mary Gordon puts it, empathy is “caught not taught.” It must be modeled, propagated and reinforced by the institutional cultures and environments in which people live and work. Today however, too many institutions inculcate greed, selfishness, competition, and short-termism – all of which dampen empathy rather than encourage it. Faced by this situation it is easy to dismiss empathy's moment in the limelight as a fleeting trend that has little hope of overcoming the entrenched problems, power structures and value systems that we face. Yet when we reflect on the greatest triumphs along the march to social justice – in civil rights, women's rights and gay rights; in worldwide movements for nonviolent protest and revolution; and in the work of millions of social entrepreneurs and activists – it is hard to ignore the role that empathy has played in forging deep bonds of human connection and solidarity that have pushed societies forward. Nurturing empathy in ourselves and each other can help to give us the will and the tools to become transformative social actors.